Turn-key single level Lower Westside bungalow in the highly desirable 'Circles' neighborhood. A stone's throw from Westcliff Dr., the beach, Swift St. Courtyard and New Leaf Grocery Store. You'll be welcomed by the bricked courtyard entry that is perfect for entertaining. Fall in love with the chef's kitchen with stainless appliances, designer countertops and dinette in the open floor plan with engineered hardwood floors. Brand new tiled bathroom with frameless shower door and skylight. Detached office space will serve as a perfect bonus room or yoga space. 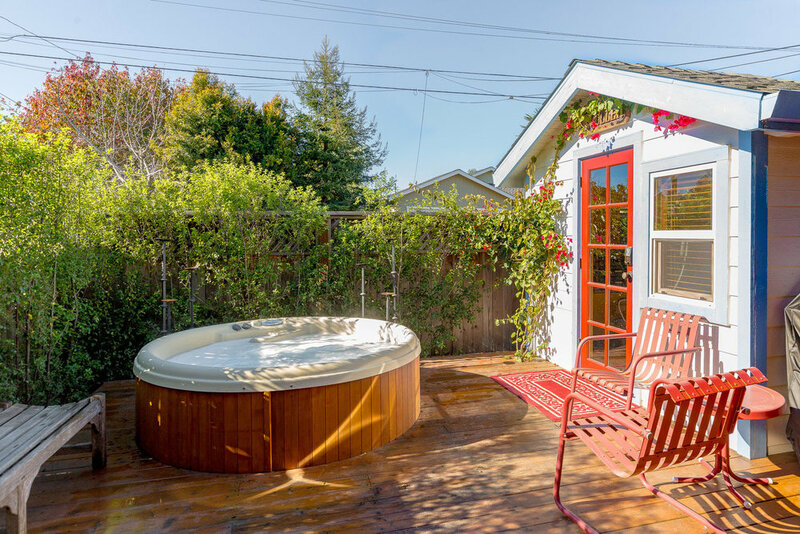 Enjoy the expansive deck with sunken jacuzzi & surf shower. The perfect opportunity for a first time home buyer, someone downsizing or second home by the beach - these homes sell fast!